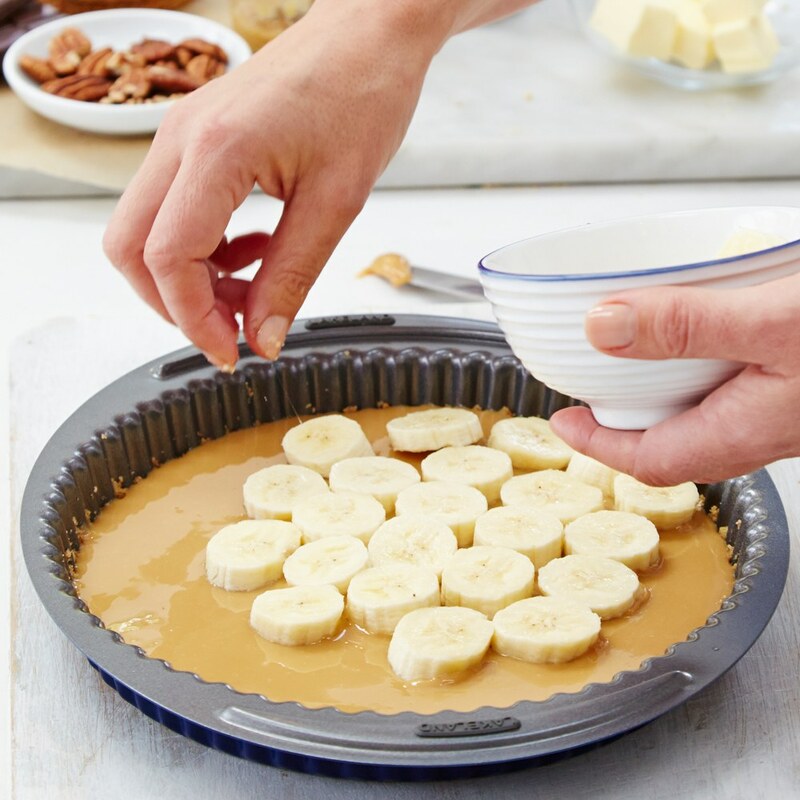 Sugar-free recipes for baking, and ways to be just a bit healthier, are high on our customers’ ‘most wanted’ list. Little changes that are easy to stick to and will make a difference… so we knew who’d be able to help. 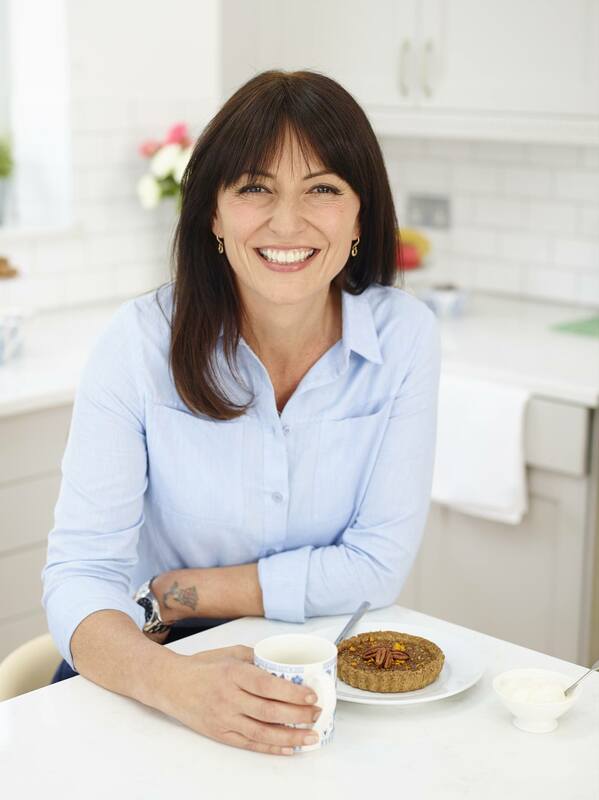 A busy mum of three and an ardent Lakeland customer, Davina McCall has a really refreshing, down-to-earth approach to cooking for her family, and after cutting refined sugar from her own diet, she’s been inspired to write her new book, Davina’s 5 Weeks To Sugar-Free. So it was no surprise to us that on the day we met her, after introductions to the team, she put the kettle on and made the brews – our kind of lady! And before Davina donned her apron ready for baking, Lakelanders Kelly and Steph sat down with her and had a good chat about all things sugar, her hectic lifestyle and, of course, her love of Lakeland. Yes, because actually I think it is a modern day affliction – a sugar addiction. I sort of said it as a joke, but the more people I speak to, I realise that it is quite a serious thing and you will do quite a lot to try and get a bit of sugar late at night. I’ve rummaged through my kids’ drawers and gone through their special chocolate stashes, thinking ‘Oh I’ll replace it, that’s fine’. So sugar became something that I needed. It felt more than just a mental thing, it felt like a physical need and sometimes I’d get the shakes and that’s not healthy. So is this what inspired you to write 5 Weeks To Sugar-Free? Because you felt you were reliant on sugar? It started really because my sister got cancer and the nutritionist told her to cut sugar out of her diet, as they say that the sugar encourages tumours to grow, and I was horrified by that. I went online and looked up the refined sugar in everything like ketchup and baked beans – those are the hidden sugars. You expect it in a cake or a biscuit but other food, processed food or low fat food, there is loads of sugar in it and I started thinking, I’m eating a lot of sugar without even realising it. I used to go to bed every night and think, Well, I’ve just eaten two rows of milk chocolate on the way to bed and I’m brushing the milk chocolate out of my teeth; why have I done this? I didn’t even really want it. So I talked to somebody at a publisher’s and said, ‘I really want to try and kick it but I think we should find a tool for people to do this’. They said, ‘Why don’t you write a cookery book? We’ll hook you up with a great chef so you can do it together, you give her your favourite recipes, she comes up with a sugar-free version of it and you cook it and tell everyone how your experience was.’ I said ‘Can we do that? Is that a thing?’ And so we did! I really enjoyed the process, I tried lot of new ways of cooking which I hadn’t tried before and I approached lots of different types of food which I was terrified of, things like spelt. It does sound scary! It sounds severe! Maybe it goes back to school and spellings but it sounds severe. Even things like barley and pulses, different things which I thought, Oh no, I can’t cook with things like that. Your book isn’t about being sugar-free, it’s about being refined sugar-free. Yep, it’s so important for me to reiterate that I’m kicking refined sugar. The point is, it’s a 5-week plan and the last week is completely sugar-free, so no honey or maple syrup. Obviously people will look at it and see the recipes for the brownies and say, ‘Oh, there’s honey in there’ and I get that, but if you actually read the book you’ll see that it’s a 5-week plan to sugar-free because it’s trying to help people wean themselves off. Why do you think people struggle to cut out sugar? People’s relationship with sugar is sometimes an emotional one, so they think, ‘it’s my friend’. I mean what do you do when you’re really sad? You eat a piece of cake or chocolate. It’s an emotional response to something painful, and sugar is something that’s looked after me when I’ve been sad. So what is the difference between a refined sugar and a natural sugar? Well, a natural sugar is one that is naturally occurring, so something like maple syrup. You do have to be careful with maple syrup because there are lots of things called syrup out there which are just sugar. So you do have to look at the packaging and make sure that it’s just pure maple syrup. What is the simplest piece of advice you would give to someone who wants to pursue a healthier lifestyle? I think the quickest way is to go brown. My kids love pasta and we went to wholewheat pasta 3 years ago. I thought they were all going to be up in arms about it but they didn’t even notice the difference! I don’t think we can expect people to go straight from a processed diet to no sugar – it’s too much to ask. It’s about baby steps. It’s also about changing your cupboard. If it’s not there you won’t eat it! You said that this is 5 weeks to sugar-free, and in the last week you go completely sugar free: is that maintainable? I try to maintain that and I’m not always sugar-free – like yesterday I fancied a black tea with honey so I had some honey in my tea. That doesn’t bother me in the slightest as I think, look, I’m not back on refined sugar. I’m not interested in it any more and that’s why it’s maintainable: because I don’t crave it any more. Are you a Lakeland customer? Oh my God – I love Lakeland! You inspire me to do things I don’t normally do because everything looks so nice! You know how kids have a favourite catalogue and they circle everything that they want and leave it around? I have the Lakeland catalogue and circle everything that I want and leave it around for Matthew to find and buy me. And does he take the hint? Meat-free Monday!All aboard the juicing train!